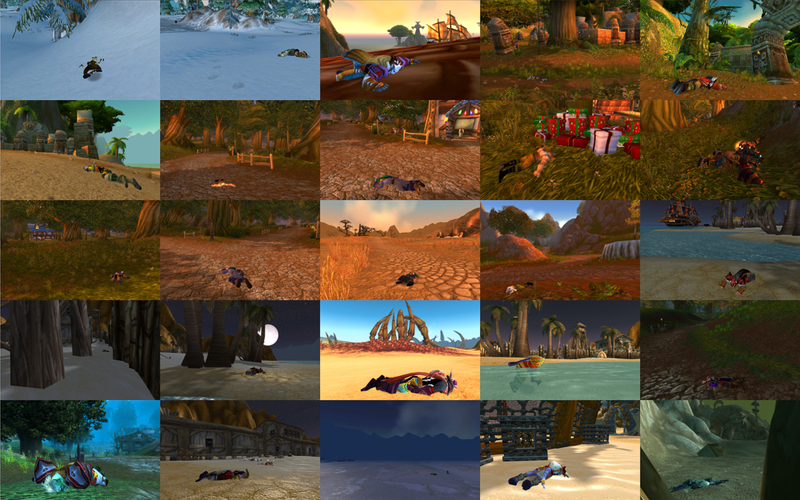 “Leveling 1-70, (A Land to Die In)" is a large installation of photographic screenshot laid out in an expansive grid. 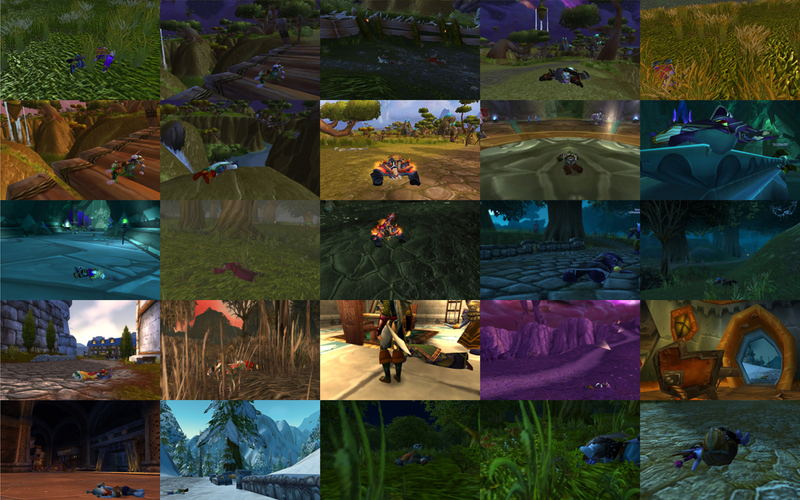 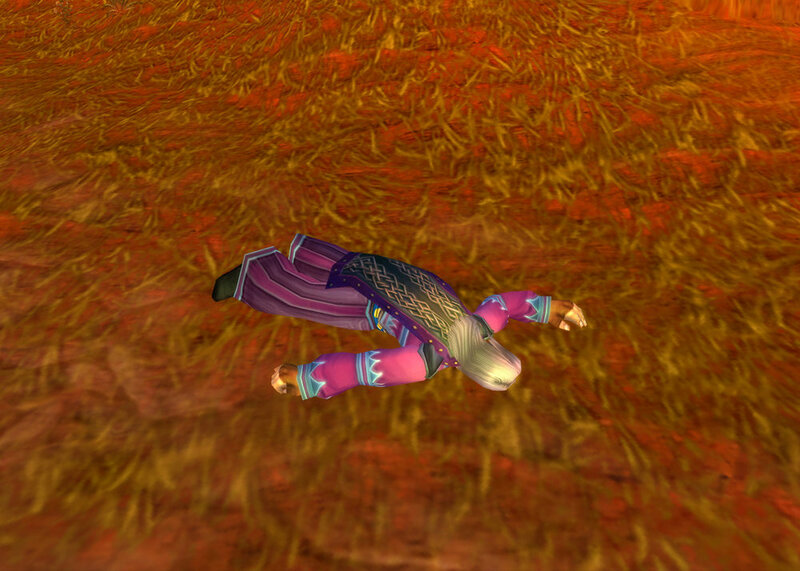 These images are a record of every single corpse of a fellow player that I came across while I acceded up to the maximum level in World of Warcraft. 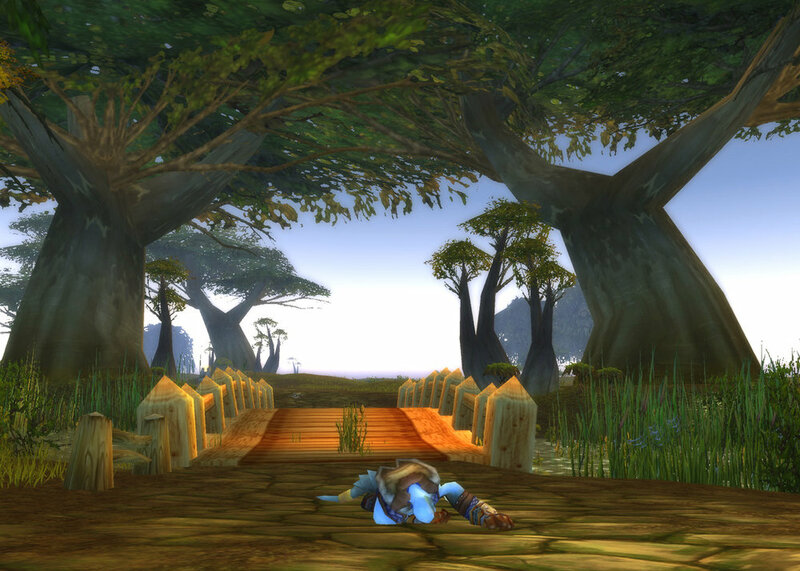 Also known as WoW, in 2008 it was by far the most popular MMORPG (Massive-Multiplayer Online Role Playing Game) and by many accounts the most played video game in the world. 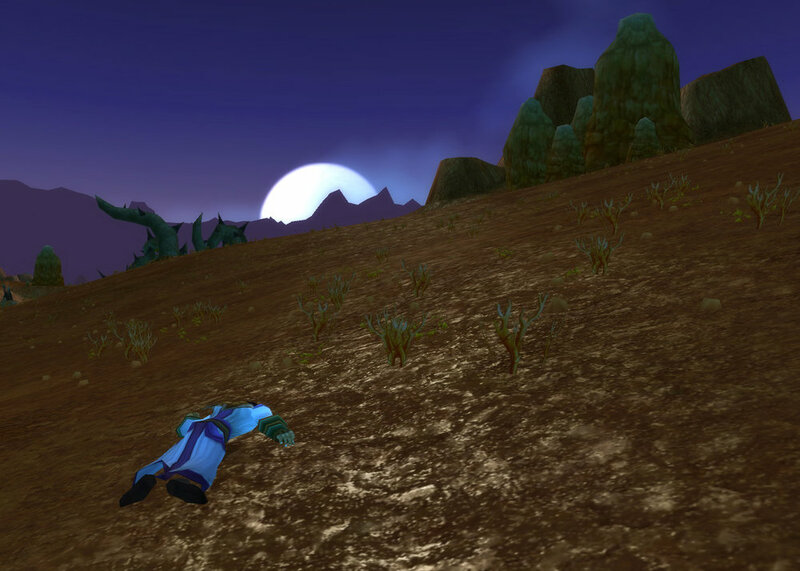 MMORPGs are a style of computer game in which a multitude of players log in to a large virtual realm to game together. 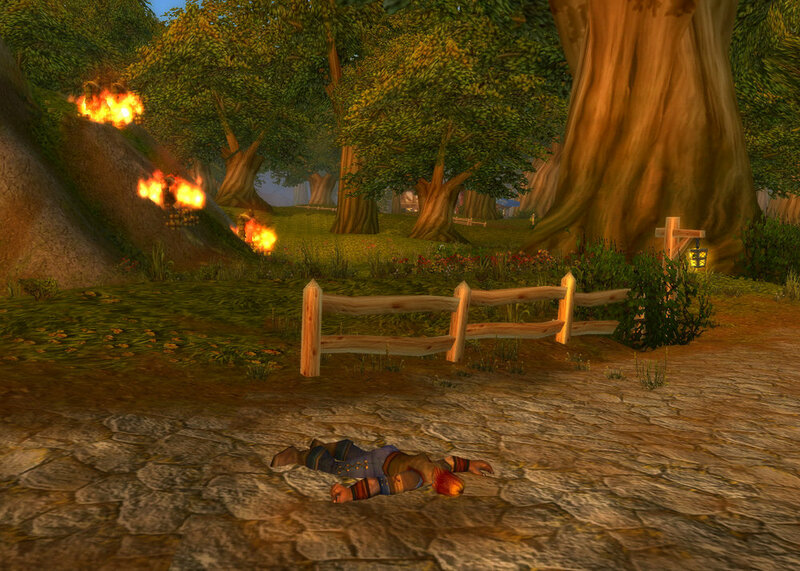 In this case, WoW is steeped in the history of the epic fantasy genre. 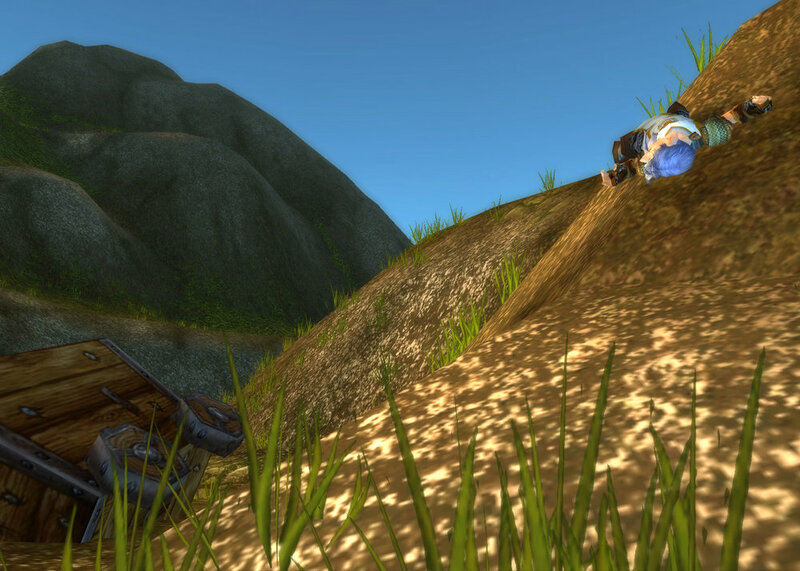 Working together to slay dragons or goofing around dancing in town square, players make characters who cooperate or fight in this sprawling, persistent world of ruined castles and jagged mountains. 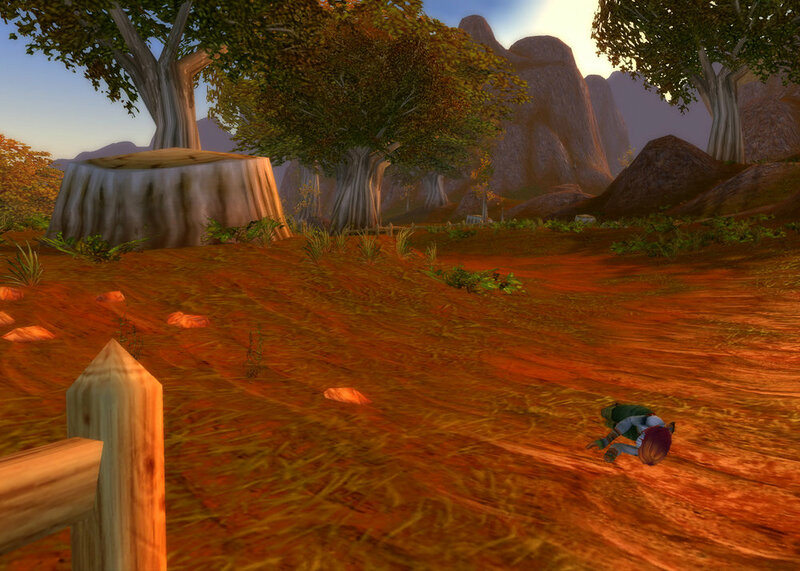 Each server often boasts tens of thousands of players and a complexity of virtual geography and culture to match. 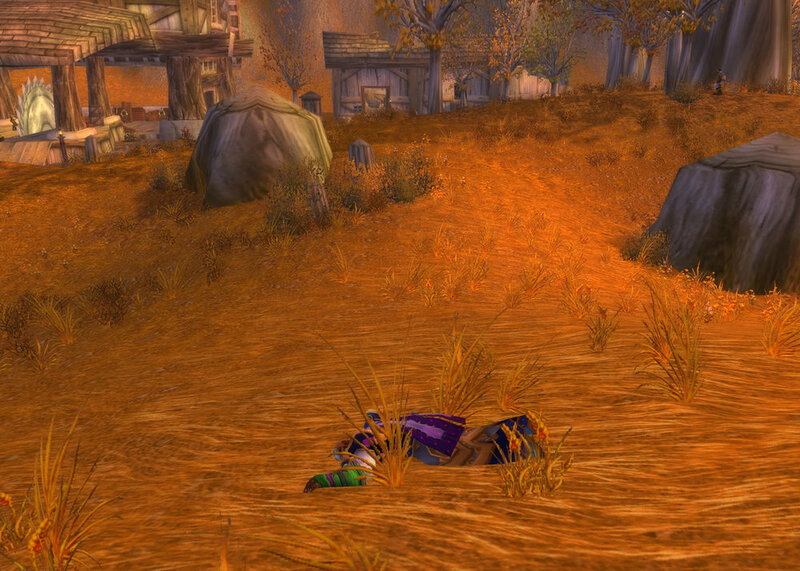 But with all of the promise of adventure, there is also inevitable death. 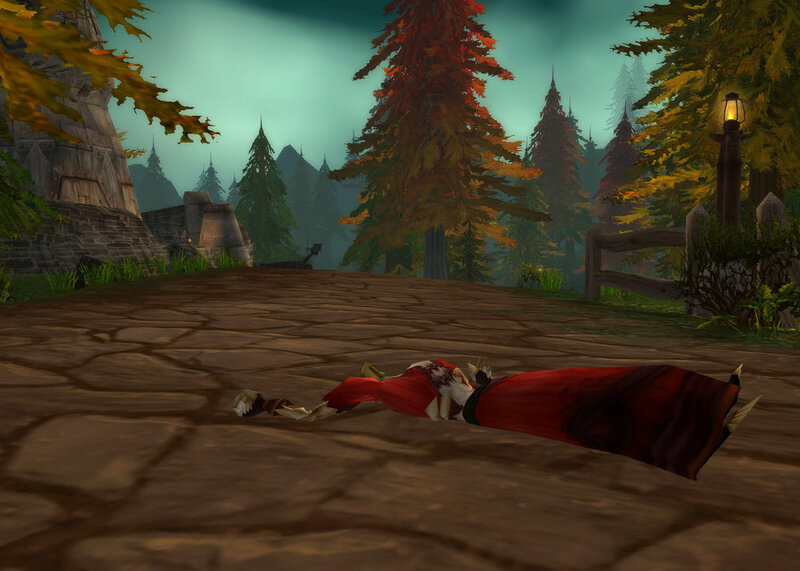 Whether it be from trying to take on too many brigands, falling too far, or stumbling into ambush of hostile other players, to play is to die repeatedly amongst the wonders of the game’s world.